Looking for a Drug Rehab or Alcohol Rehab Facility in Iowa? Drug rehab programs in Iowa are available in just about every region of the state, and no one has to struggle with any type of substance abuse issue that can affect their quality of life with help right at their fingertips. Even when someone in Iowa has tried to quit on their own in the past, has failed at drug rehab before, or any other failure has occurred that would make them think rehab wouldn't work for them, it can work if the right rehab if chosen from the get go. So speak with a drug treatment counselor in Iowa today to find out what the right drug rehab program in the state is for yourself or perhaps a loved one who needs help with a substance abuse problem. There is help available for every type of addiction, and anyone can change their life for the better with this help today. In a single-day count in 2013, 9,731 individuals in Iowa were enrolled in some type of substance use treatment in Iowa, an increase from 7,892 individuals in 2009. Among those who were taking part in substance abuse treatment that year, 24.6% were in treatment for drug use only, 27.2% were in treatment for alcohol use only, and 48.2% were in treatment for both drug and alcohol use. Marijuana is the number one illicit drug problem in Iowa, although amphetamines are a close second and account for around 20% of treatment admissions in the state each year. Amphetamines would include drugs such as methamphetamine and crystal meth which are a highly addicted category of drugs requiring aggressive intervention and treatment. Poly-drug use, a problem with both alcohol and a secondary drug, is evidently another significant problem in the state. Alcohol abuse and dependence is a significant problem in Iowa, as a solitary problem and as part of the even more significant poly-drug use problem among residents as discussed earlier. The problem is that there are an estimated 185,000 individuals aged 12 or older who are dependent on or who have abused alcohol within the past year, only 6% of which received treatment for it. So part of the problem lies in lack of prevention and early intervention, which must be more aggressive. More importantly, more individuals need help than are receiving it, which is not uncommon due to the fact that alcohol abuse is so widely accepted by society in general. There are alcohol treatment programs that provide fully comprehensive treatment for individuals in Iowa struggling with either an alcohol or poly-drug use problem involving alcohol and it is recommended that individuals looking into these treatment options look beyond the traditional programs available such as AA which may not be aggressive enough for clients who have more extensive needs that require more aggressive intervention. There are only around 144 drug rehab programs in the state of Iowa, the majority of which are outpatient programs. More specifically, around 123 drug rehab programs offer outpatient treatment, 85 of which offer more intensive outpatient services and 20 provide day-treatment/partial hospitalization. 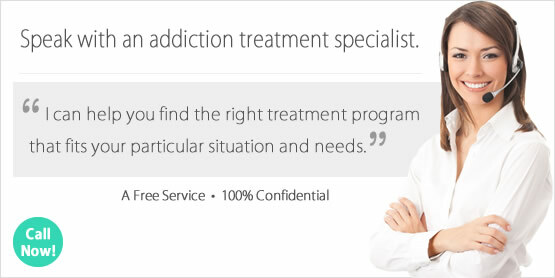 In addition to these options, there are also 5 facilities which administer methadone and buprenorphine to clients who are opiate dependent, and this is a form of outpatient treatment but beyond the administration of opiate maintenance drugs these facilities don't typically deliver any other treatment steps such as counseling or therapy. There are 32 facilities in Iowa which provide non-hospital residential treatment services, and 8 which provide hospital inpatient treatment. What does Inpatient Rehab in Iowa Involve? Inpatient and residential non-hospital drug rehab clients in Iowa participate in either a short term 30-day program or a long term program of 60-120 days. These facilities offer a wide variety of treatment services, many of which cannot be offered in an outpatient setting, and are therefore more appropriate for individuals who have been dealing with chronic drug or alcohol problems. The longer someone stays in rehab the better their chances of avoiding relapse and being able to confidently live drug and alcohol free. Even though cost and logistics can be a concern and stop someone from participating in an inpatient or residential drug rehab programs, these are the programs with the highest success rates in Iowa because they provide the most integrated the approach. Clients in an inpatient and residential non-hospital drug rehab in Iowa will engage in therapy and counseling, cognitive behavioral therapy, dual diagnosis treatment, and other steps depending on their circumstances and what they need to address on an individual basis. What does Outpatient Rehab in Iowa Involve? An outpatient program that delivers traditional outpatient treatment services will typically engage clients in various types of counseling and therapy in both an individualized and group setting. Sometimes treatment plans and activities are based off of the 12-step model, yet these aren't the only options available and there are alternatives available in the state. Depending on how intensive the outpatient option is, clients can expect to take part in treatment services as little as one day per week or as much as 7 days per week.